It’s been a busy few months at the Great War Theatre project. In October Helen Brooks and the Western Front Players were filming for a new documentary Untold Stories of World War I. The documentary was produced by History HIT for the AHRC and presented by Dan Snow. It was a great day, and we were very grateful to use the beautiful St Mary’s Church in Walthamstow. It was also fantastic to see the Western Front Players in action again. This group was created by the local branch of the Western Front Association after hearing about the project (and getting involved for some) and they are now working to stage the long-unseen plays the project is uncovering. 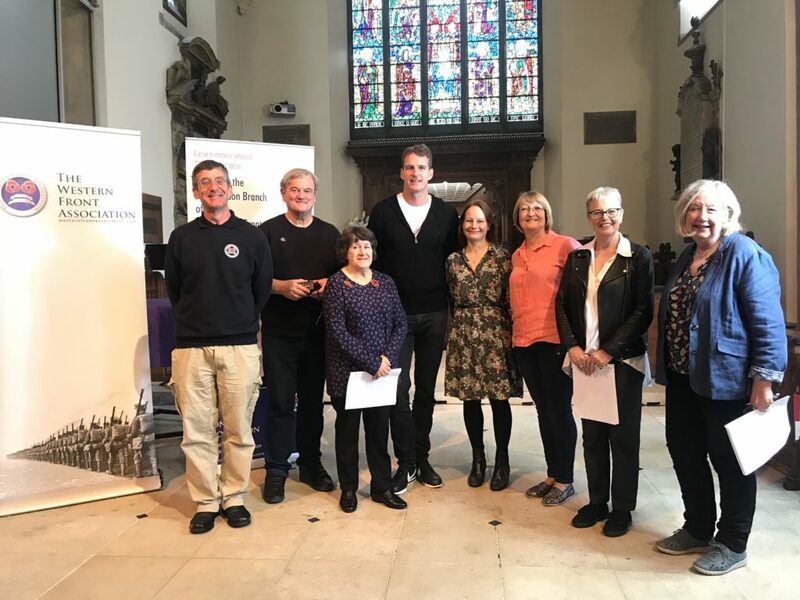 Dan Snow also made a podcast about the project and its findings which was released on armistice weekend. You can find it here. And if that wasn’t enough, articles about the project have also been published in the British Theatre Guide and the U3A magazine Third Age Matters.